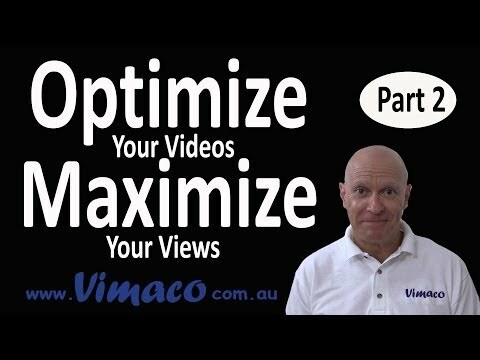 Welcome to Part 2 of how to optimize your videos to maximize your views. In Part 1, we looked at Metadata which helps YouTube to index your video correctly so that your viewers can find you. This includes your Title, Description and Tags. Now we are going to look at the second tool for optimizing your video – thumbnails. 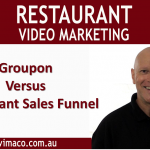 Video is a visual medium and the video’s thumbnail plays a significant role in viewers selecting a video to watch. It works like a mini poster promoting for your video. When you upload your video on YouTube, you are offered a choice of three thumbnails for you to choose from but you should upload your own customised thumbnail. Use a strong image , which could be an image of yourself and the video title. Create your thumbnail in design software such as Photoshop in the widescreen format 16:9 aspect ratio. The image should be hi-resolution at least 640px x 360px. Be sure the text is clear and easily read, and it you are in the video then include yourself. Create a high quality image that accurately represents the content of your video. Misleading thumbnails will not only upset your viewers but by them clicking away from your video at the start will have a detrimental effect on the ranking of your video. So avoid it. So that wraps up our look at optimizing your video’s thumbnail. In Part 3 of this series, where we look using Annotations to engage with your audience.